LONDON (Reuters) - European banks have filled their balance sheets with national debt since 2011, bringing them easy profits but reinforcing a "doom loop" linking weak banks to governments with shaky finances. The euro zone debt crisis showed banks can suffer big losses from holdings of their own countries' bonds, which in turn can torpedo state finances if banks need to be bailed out. Policymakers have been trying to loosen the mutual exposure of banks and governments that ensured they dragged one another down during the crisis. 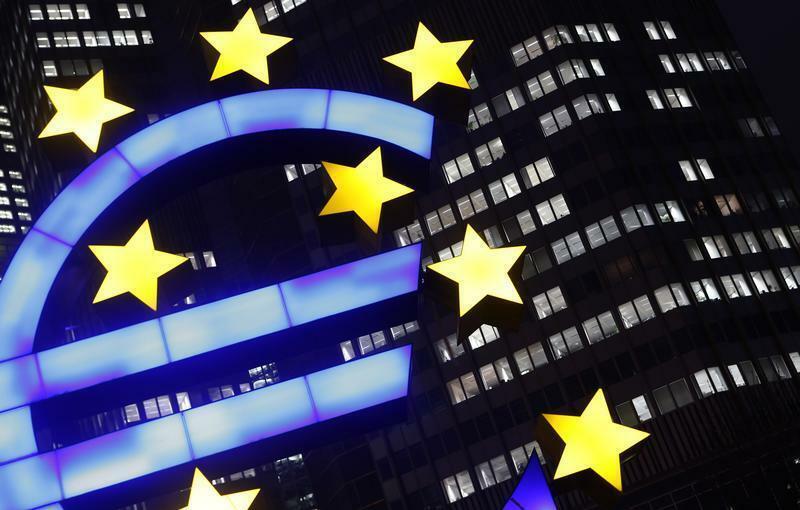 But the European Banking Authority (EBA), the European Union's banking watchdog, said on Monday the share of bonds issued by sovereigns under stress held by their domestic banks had "increased markedly" between December 2010 and June 2013. The net exposure of the leading banks to sovereign debt fell 9 percent in 2011 but then rose 9.3 percent to 1.59 trillion euros ($2.19 trillion) in the 18 months to June this year, data released by the EBA showed. The data confirms what many already suspected - that banks, particularly in Italy and Spain, have been plowing cheap funds from the European Central Bank into buying more of their own countries' bonds, a lucrative carry trade that has also helped ensure governments can fund their deficits at sustainable rates. Regulators partly blame a move by banks to rein in cross-border activity and build up new liquidity buffers made up predominantly of government debt as a way of reducing risk. But the EBA's data - which updated core capital and holdings of sovereign debt and loans at 64 leading European banks - is likely to reinforce fears that the fortunes of the banks and the states in which they are based are still too closely intertwined. It will also fuel a debate over whether all government debt should be treated as equally risk-free when it comes to calculating bank capital requirements. In June this year, Spanish banks held 89 percent of the 199 billion euros of Spanish government debt held by the 64 leading banks surveyed by EBA, up from 78 percent in December 2010. There were some big jumps at individual banks. Santander's (SAN.MC) net direct holding of Spanish bonds was 63.6 billion euros at end-June, up from 45.6 billion at the start of the year. Italian banks held 76 percent of the 274 billion euros of Italian debt bought by the 64 banks, up from 59 percent. Intesa Sanpaolo (ISP.MI) held 83.5 billion euros of Italian bonds in June, up from 77.4 billion in December. UniCredit's (UCG.MI) holding of Italian bonds rose to 56.8 billion from 48.9 billion six months earlier. Figures for Ireland, Greece, Cyprus, Britain were also high, with Finland the only one in single figures, at 6 percent. With no pan-EU stress test of banks since 2011 and the results of the next not due until October 2014, the EBA wants analysts to mine the data and run their own checks in the meantime to improve investor confidence and the standing of the region's banks. It said its figures confirmed that banks were becoming better capitalized, if more domestically focused. Capital held in the core buffers of the banks analyzed rose by 80 billion euros between December 2011, when the data was last updated, and June this year. Combined with a cut of 817 billion euros ($1.1 trillion) in risk-weighted assets - in particular securitized debt and derivatives - it led to an average core capital buffer of 11.7 percent, up from 10 percent at the end of 2011. EU regulators say that, while their definition of core capital is not fully compliant with the global accord known as Basel III, capital levels at European banks are on a par with, or better than, their U.S. peers. Loans to companies, individuals and others fell 3 percent in the 18 months to June. The figure may offer some relief to policymakers who fear banks have slashed lending. Leading EU banks undergo a review next year of the quality of their assets to make sure they have been valued properly. The process will be reinforced by a stress test of those lenders. Any shortfall in capital will be announced in October 2014, part of wider efforts to draw a line once and for all under doubts over the true health of Europe's banks.